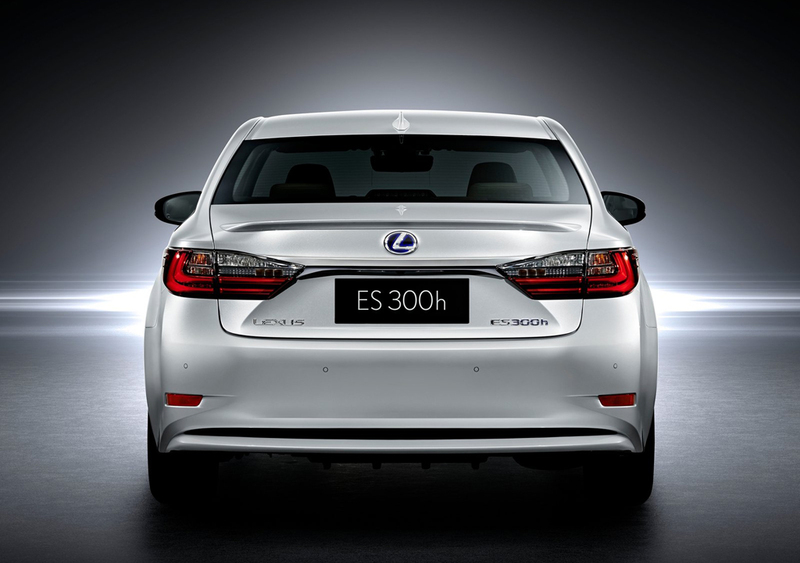 Lexus has introduced all-new ES at 2015 Shanghai International Motor Show. 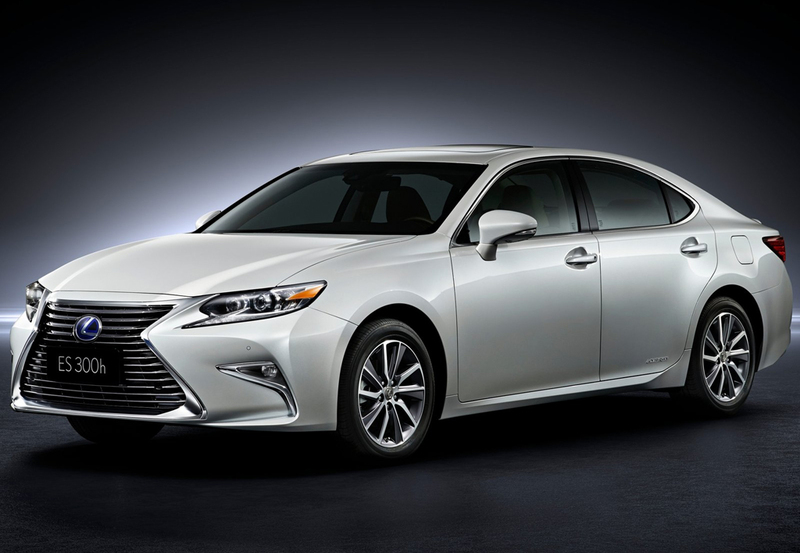 This new launch comes with even more sportiness, luxury and advanced technology. 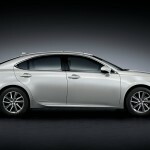 A prominent feature is Lexus Safety System+. This gives the customers excellent safety technologies all in a single package. Pre-Collision System detects pedestrians and vehicles by using front-facing camera and millimeter-wave radar. A warning is therefore dispatched and emergency brake as well as Brake Assist gets activated. Another feature Lane Departure Alert makes use of a camera for monitoring visible lines that mark the lane on road. In case the vehicle deviates unintentionally from the lane, then Lane Departure Alert will warn the driver with a vibration in the steering wheel and also with audio-visual warning. Automatic High Beam detects headlights from other vehicles. The low-beam and hi-beam illumination both get adjusted automatically. This helps to optimize forward visibility at the time of night driving. Radar Cruise Control utilizes millimeter-wave radar for detecting at what speed the vehicle in front is travelling. With this information, the setting of cruise control speed accordingly gets adjusted. 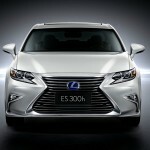 The trademark grille of Lexus can be seen in the front fascia. The spindle grille is accompanied by dazzling satin chrome. The headlights have received new design. 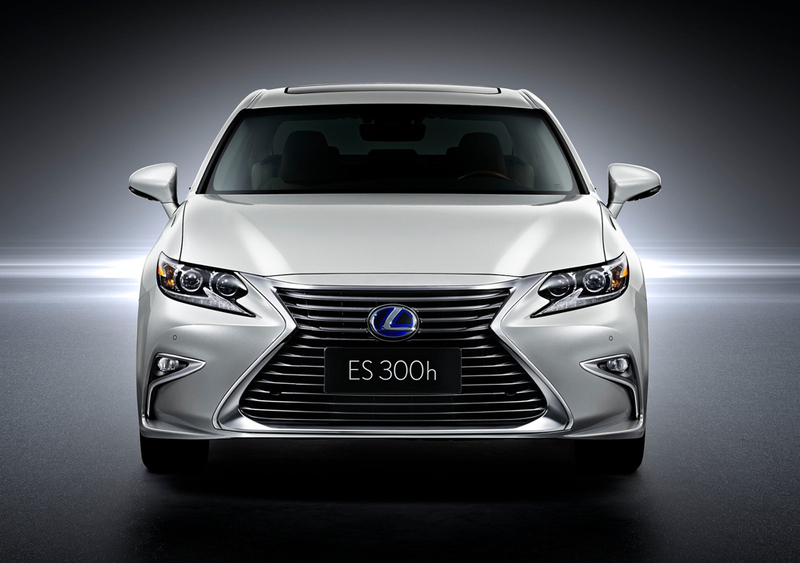 Now, these feature LED projector and the Daytime Running Lights are L-shaped. The fog lamps are yet another aspect to get a new design. Their location has been changed to the lower outer corners of the car’s front face. This modification makes the ES look even wider. The front fascia is re-sculpted and it joins the hood, thus making a moving sensation even if the car is stationary. The slender form continues with the roofline that appears to be flowing towards the rear. 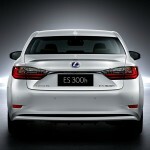 The car’s rear as well has been redesigned and features a new taillight. The L shape can be seen here too. The license plate chrome garnish too gives the appearance of flowing into the lamps. Making the rear even more appealing is the new design for rectangular chrome-tipped exhaust ports. The 17-inch wheels have directional pattern for the spoke. The 20-spoke wheel that is multi-plane machined and features metal in dark grey is offered as optional on non-hybrid models. 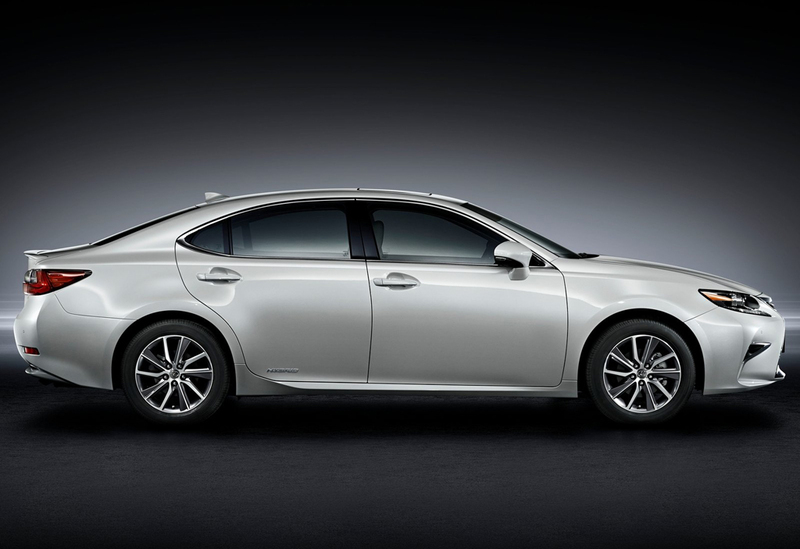 For the hybrid models, the car makers have used 10-spoke wheel that have machine finish. 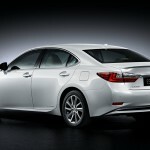 Lexus has introduced four fresh shades for the body paint – Nightfall Mica, Eminent White Pearl, Amber and Caviar. Other than stunning looks, these body paints are blessed with brilliant paint technology too. The coat is able to heal itself in case it gets damaged – even from light. The paint process used is multi-stage, so that the car shines like a jewel. The cabin has been made elegant with beautiful color combos and even multi-color scheme. Customers get pick colors for the seats – Parchment, Black, Flaxen and Stratus Gray. 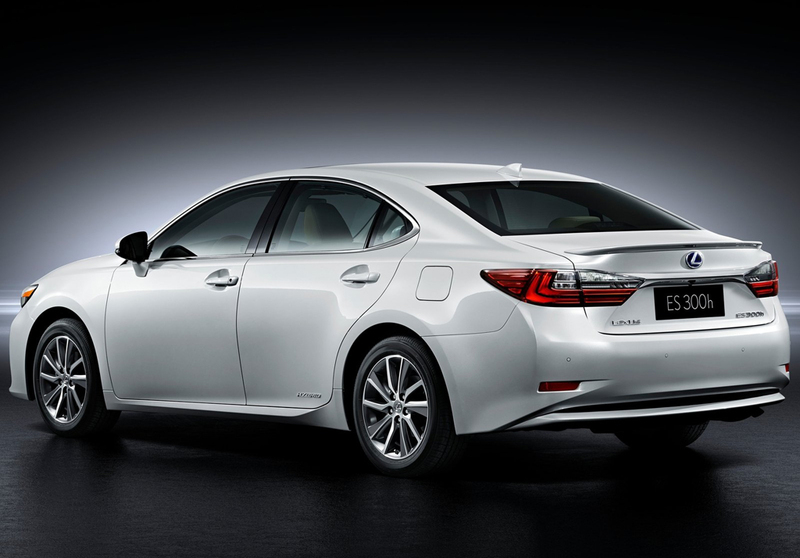 Buyers can select from three trim materials too – semi-aniline leather, Lexus NuLuxe and leather. The interior trims have been color-coordinated with color options – Espresso Bird’s Eye Maple & Shimamoku ornamentation, Linear Dark Mocha Wood, Illustrious Piano Black and the new matte finish. The supportive and comfortable seats feature embossed pattern. 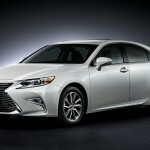 Extra trim enhancements have been incorporated to the door surfaces that face the cabin as well as to center console. These aspects create a unity in the cabin, in terms of the up-market feel and also cohesion in design. This color-coordinated upholstery can be seen along center console too. It is accompanied by a gear selector that is enclosed in a leather boot. The steering wheel gives the feel of sportiness. A Thin Film Transistor multi-information4.2-inch color display is present. It shows the multimedia information and route information as well.